Notable it a screen capture and markup app. It looks a bit like LG's Capture+ feature, which comes built into its phones. Notable lets you grab a screenshot using the convenience key (on BB devices), a custom swipe gesture shortcut, or by tapping the dedicated screen-capture notification. Then, you can add text and doodles to the image. 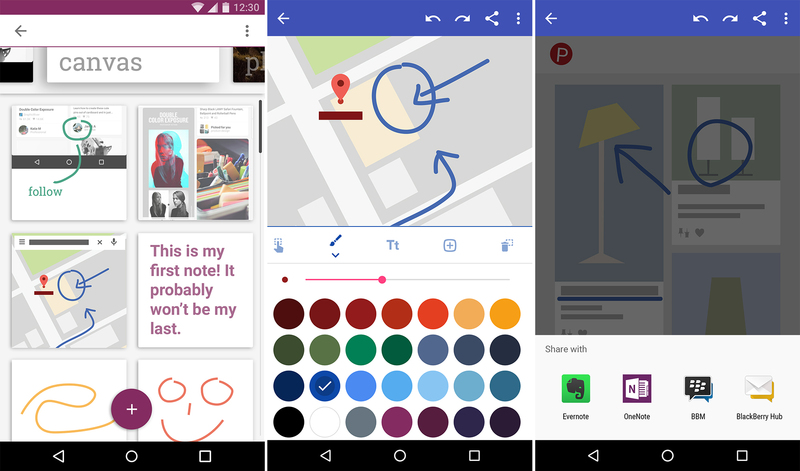 It can be shared to messaging apps directly or sent to an app like Evernote or OneNote. This app will be part of the Hub+ app suite, but it's not there yet. It's currently only available to BlackBerry devices including the PRIV, DTEK50, and DTEK60. It will be available on other devices via Hub+ later. As a reminder, that's a subscription service with an ad-supported version.